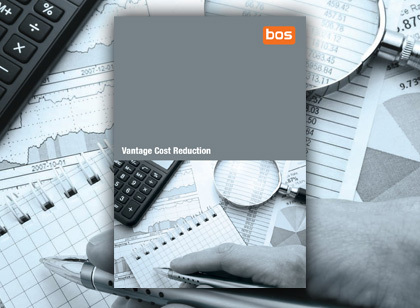 Using BOS for your business couldn’t be simpler! A simple phone call or email will get you started and we will take you through the process to start buying. Whether you use our credit facilities or pay as you go we make it all hassle free. We will take you through a step by step guide to open up your credit account and work with you to establish a credit limit and payment terms to meet your requirements. Our credit control team will send your invoices by post or email in a format that’s right for you to suit your needs and a monthly statement will help you see where you are with payments. We can personalise your invoice format to best meet your requirements, by order number, by delivery address, by department (cost centre), by product area, or simply 1 consolidated invoice per month to save on paperwork and time on re-entry in to your systems. We can even setup something completely bespoke for you! If you require the use of purchase orders our processes ensure no orders will be placed without one. We generally invoice once a month on the last day of the month but can invoice weekly or any other frequency to best suit you, we can even invoice on a specific day to meet your ledger close off date. We go the extra mile to ensure we set your credit account up on our system just how you need it, from day one, to ensure the process runs as smoothly as possible from your 1st invoice, saving time and effort for both our companies. When you first spend with us you are assigned an Account Manager to look after you. One point of contact who is familiar with you and your business’ requirements. He or she help to make that transition from another supplier to us easy by looking at your current purchases and checking you will save time and money by switching to us. Our Key Account Managers and Internal Account Managers are charged with overviewing your account to make sure that everything runs smoothly from credit account set up to delivery of goods. They have a wealth of knowledge not only on the products that are best for your business and your needs but also keep an eye on your account to suggest procedures and cost saving opportunities. They visit you to discuss the running of your account and double check that our promises to you are being kept. They provide online user training for your online purchases that will allow you to buy 24/7. Not everyone likes to order in the same way so we have a number of ways to do so: Fax, Email, Phone and Online. When you place an order online you will receive confirmation so you are sure that you are getting what you require. If you need a regular scheduled, timed or desktop delivery we can help with that too! We know it’s important to keep you abreast of new products and services so we send you promotional and informational updates by email. Price reductions we get from our suppliers are passed on to you so you are sure to be getting a good deal. We regularly benchmark out top selling products against big named suppliers in our industry. Like many companies we try to do our bit – we recycle our paper and cardboard waste and cartridges and use recycled or FSC paper whenever possible. Why not use our full recycling services – for paper, batteries, printer cartridges, business machines, workwear, furniture cardboard and WEEE. Recyclabox deliveries – (unpack – flatpack – give back). A sturdy but easily collapsible box made from 100% recycled waste that can be used again and again ….and when it can no longer be re-used, is recycled back into itself. At BOS we have a number of green products in our ranges such as Fairtrade, Blue Angel, FSC, PEFC but if you have specific enquiries then call the sales team or your account manager and let’s see how we can help you. Our customer service personnel keep an eye out for offers on products you buy and alert you in addition to letting you know about other products and services you may be interested in. Should you need a bespoke item they will assist sourcing it. In the event of a need to return or replace an item they will deal with that as quickly and as efficiently as possible. They will also speak with you regarding any products ordered that are unavailable for next day delivery to see if we can provide an alternative to get you a complete delivery every time. They ensure your account including delivery and cost centres are set up as they should be and will monitor Service Level Agreements on a monthly basis. Our design team will help you put together all your printed materials, from brochures to business cards. You can get expert advice on the print method, finishing and quantities that you need. It’s always better to see before you buy so we have a large range of samples of print and printed promotional items for you to check are fit for purpose. We have a huge selection of garments to suit businesses of all shape and sizes. From Corporate Uniforms to Club Kits we can personalise them is a number of ways. Our team can help with the little projects as well as the very big projects. We give advice on styles and functionality and can even provide that pot plant to finish off the look. Complete project management for your peace of mind. Our staff not only care about the service and products we give our customers but they also get involved with charity events to raise awareness and funds. As a company we ‘adopt’ a charity every year and support it by giving reduced prices, donations and helping them in promoting their events through eshots and posts on our website. Some of us also run for charity and every year participate in anything for 5km Races for Life to Half Marathons for worthy causes. At BOS we can offer you stock management – taking away the worry of running out of the products that keep your business flourishing. After establishing pre-defined criteria with your account manager with regards to products and stock levels, he or she will pop in at pre-determined times to take an inventory and reorder the goods for you for the required amount. Why not call the sales team to find out more? Sometimes shopping around for products seems a cost effective exercise but when you think about the time it takes and the hassle of paying different suppliers on different credit terms and by different methods, sometimes using one trusty supplier can be worth its weight in gold. 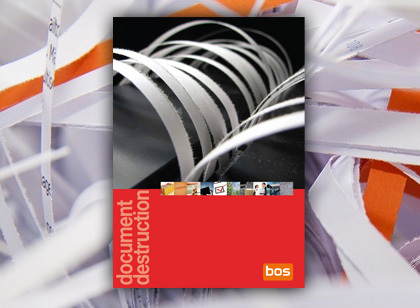 You can rest assured on a number of counts when you buy from BOS – not only do we make sure our suppliers ethical and actively interested in the environment but also have an efficient supply chain – buy reducing warehousing and delivery costs, we reduce the end prices you, the customers pay. We can not only provide you with an astonishing array of products and services your organisation or business needs but also save you money by invoicing you in one go. TALK TO OUR SALES TEAM TODAY! Our Management Reports give your company a factual insight into what you are spending and on what items as well as valuable information on how we are servicing you. You can choose to have these monthly, quarterly, bi-annually or yearly. They clearly show what lines you buy, how often and how many of our orders were delivered complete and what problems there were if any. A transparent analysis to help you keep check on your expenditure and our fulfilment of them. Peace of mind, transparency and reassurance. 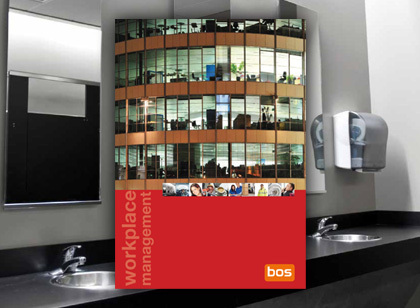 BOS can provide reporting showing cost centres, departments, sites, detailed product usage, category spend, order source, top usage item spend, green procurement report if required plus many more and these can be scheduled monthly to go direct to the required personnel. BOS are an appointed reseller for “Vantage Point” a Foresight Technology product. It provides professional solutions to help you manage, analyse and distribute your business critical data. Any report is possible.